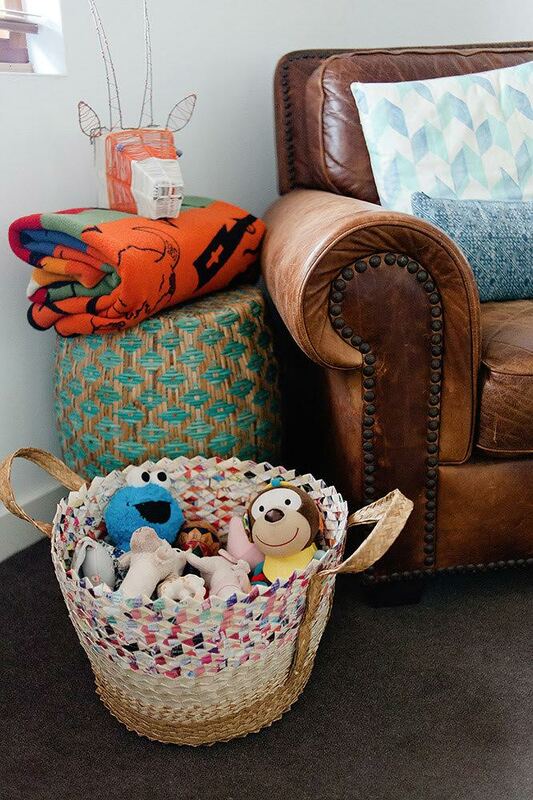 Jennifer Jones, mum of one-year-old Teddie, knows how to find pieces to kit out the coolest baby room. Owner of Jones and Co, a darling homeware and gift shop in Bondi Beach, she’s a self-confessed bower-bird. “I devour everything. I travel a lot, take photos of everything from the tiles on the street to the colour of a building,” Jennifer says. The inspiration for Teddie’s room comes from those travels. Jennifer wants her daughter to appreciate diversity in the world – the tot is half German, quarter Filipina and quarter English, born in Australia. She’s already been overseas on buying trips to the Philippines and Bali. 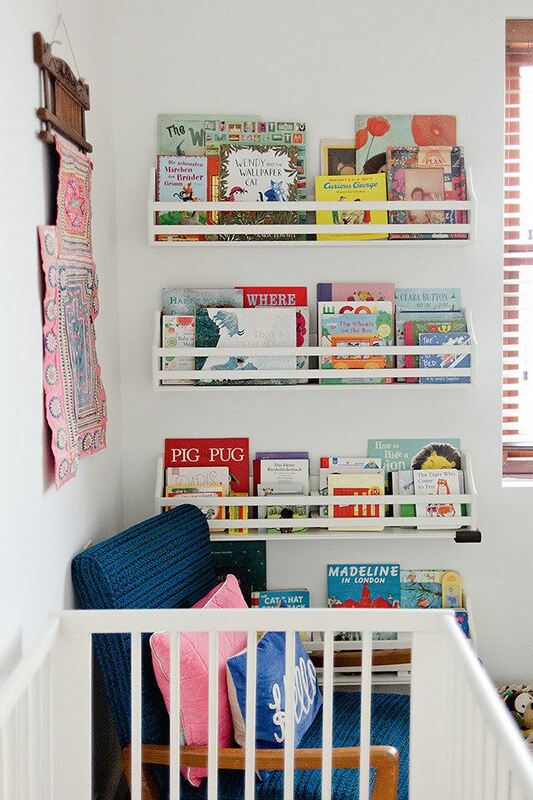 Teddie’s room was a collaborative effort with friend and Jones & Co creative director Jen Sampson. Over the years, Jen has made a side job of being Jennifer’s interiors stylist. “Jen has done three of my apartments and our house at least four times,” she says. Since pregnancy Jennifer and Jen have been collecting unique items from around the world to put in Teddie’s room. There’s the ornate, hand-stitched baby carrier (pictured above) made by the Hmong tribe in northern Thailand. They’re known for their incredibly vibrant textiles. 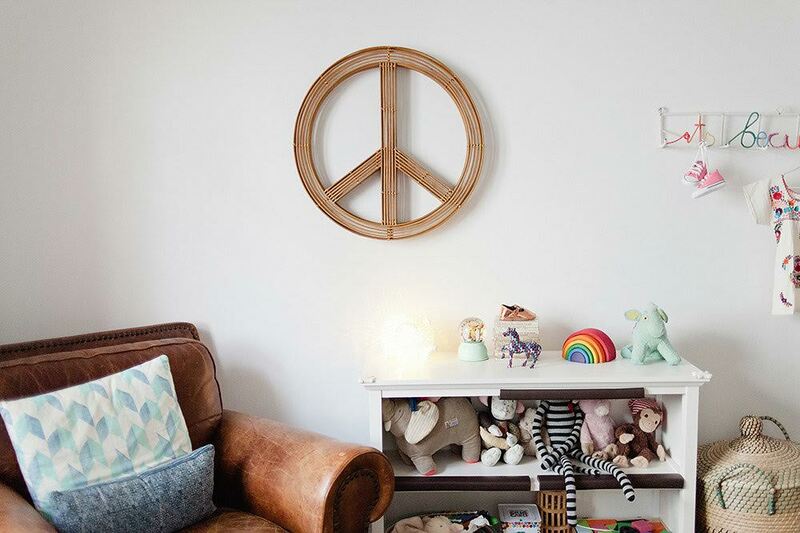 There’s the one-of-a-kind rattan peace sign hanging on the wall. Jennifer had one of the makers for Jones and Co create it when she was pregnant. The It’s Beautiful Here rainbow coatrack was handcrafted in South Africa from recycled telephone wire. With her own shop at her disposal, Jennifer can’t resist including some special Jones and Co items in Teddie’s room like the bone china elephant lamp. 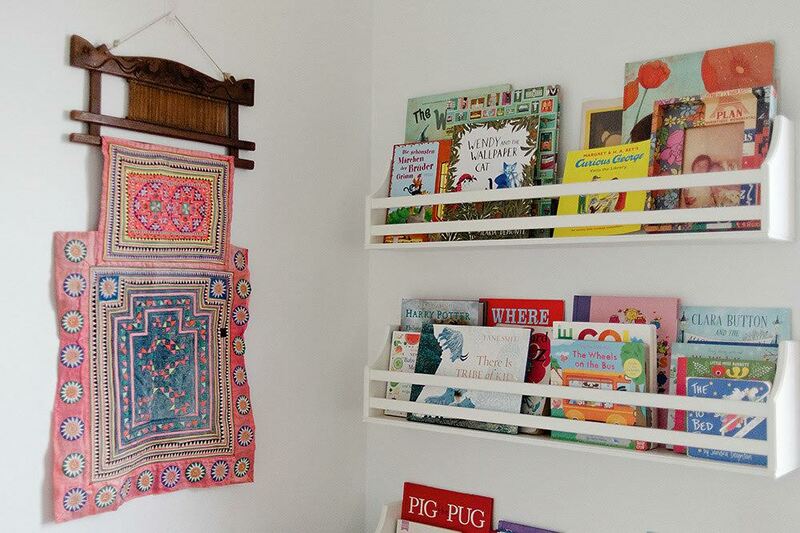 Jennifer is most proud of Teddie’s bookshelves which are filled with gifts from her baby shower. 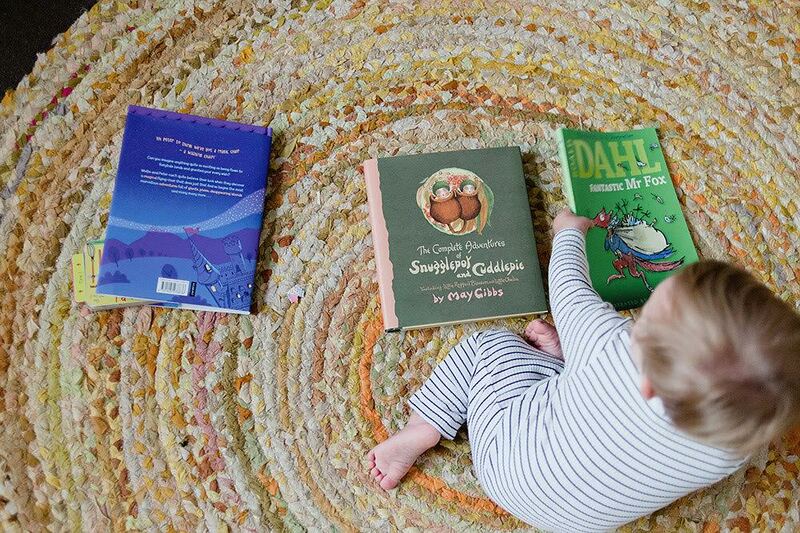 She asked friends to give a copy of one of their favourite childhood books, and to inscribe a dedication in the cover. “This was one of my favourites as a child – hope it becomes one of yours too,” reads one inscription. Jennifer’s background in retail means she knows how to make things look good. These days when she’s not in the shop, her toughest customer is Teddie. At the end of the day when Teddie is sleeping, all the mess is swept away into giant baskets sourced from Jones and Co. Then it looks like a grown-up space again.